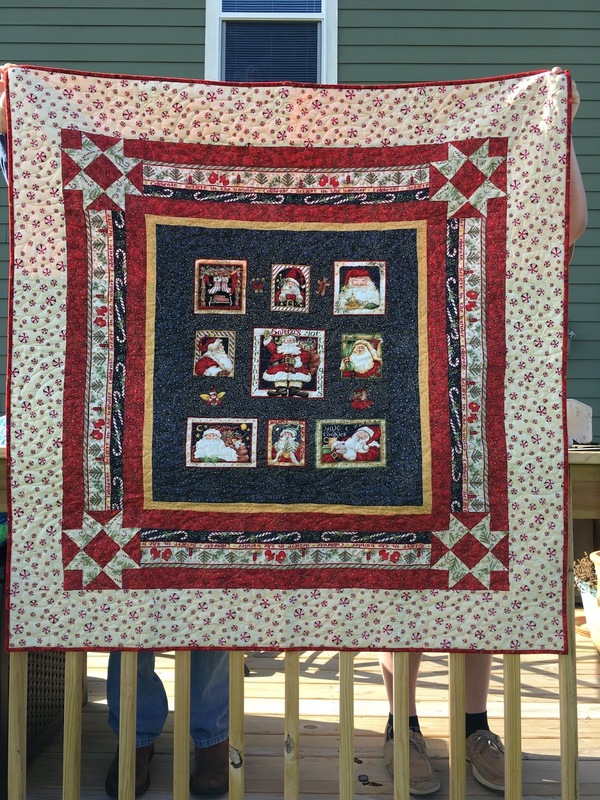 I'm churning out those Flimsy Quilt tops. 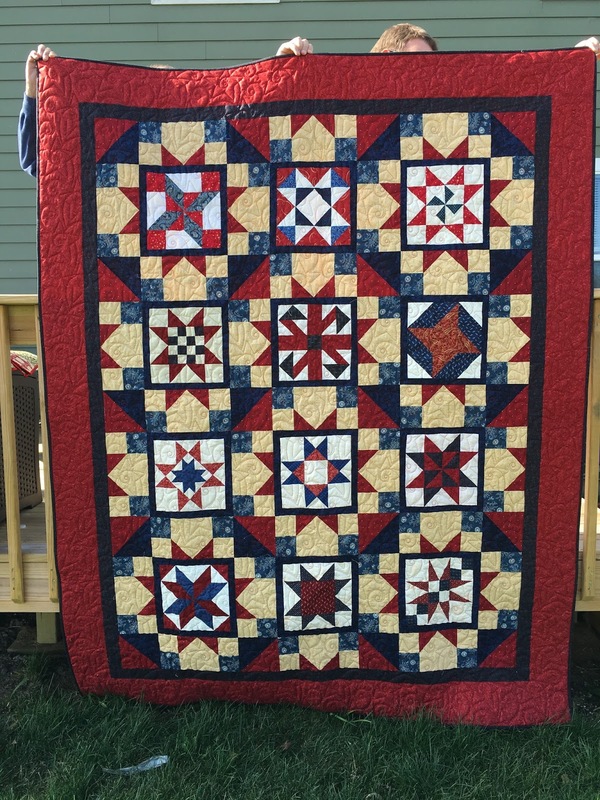 This Flimsy Finish is Americana Stars. 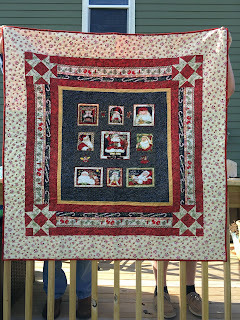 It was a block of the month from Quilts With A Heart from a couple of years ago. It finished as a twin size. I just did an edge to edge pattern on it with Glide Candy Apple Red thread. The pattern is called Happiness from Urban Elementz. 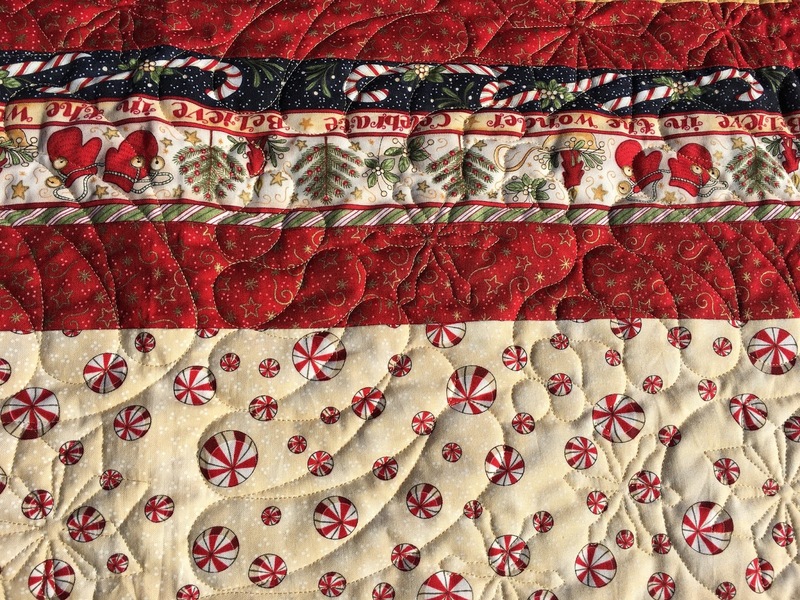 This one is another Christmas Flimsy Finish. 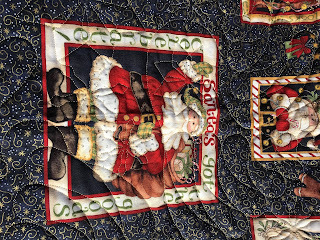 You might recall I purchased it from the DeKalb County Quilters Guild Rummage Sale. 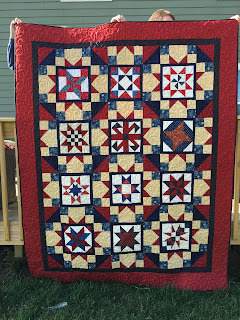 The top was all ready to quilt. Amazingly I've only had it in my possession 2 months. That's pretty good for me. 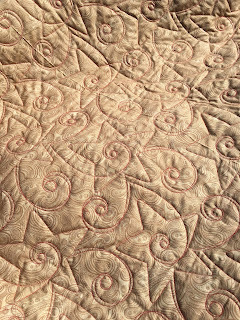 I quilted modern Christmas Trees on it in Glide Sand Thread. Just in case you're wondering, I still have plenty of Flimsies to quilt. I doubt I finish them all before Christmas but I'm sure going to make a dent in them. 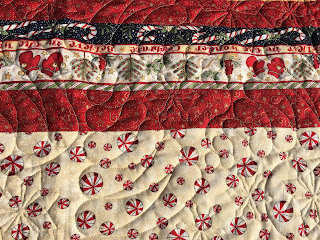 Get ready for the Christmas Is In My Heart Blog Hop. It starts tomorrow, November 12th. You can find the full schedule here. There will be lots of Christmas cheer and giveaways too! 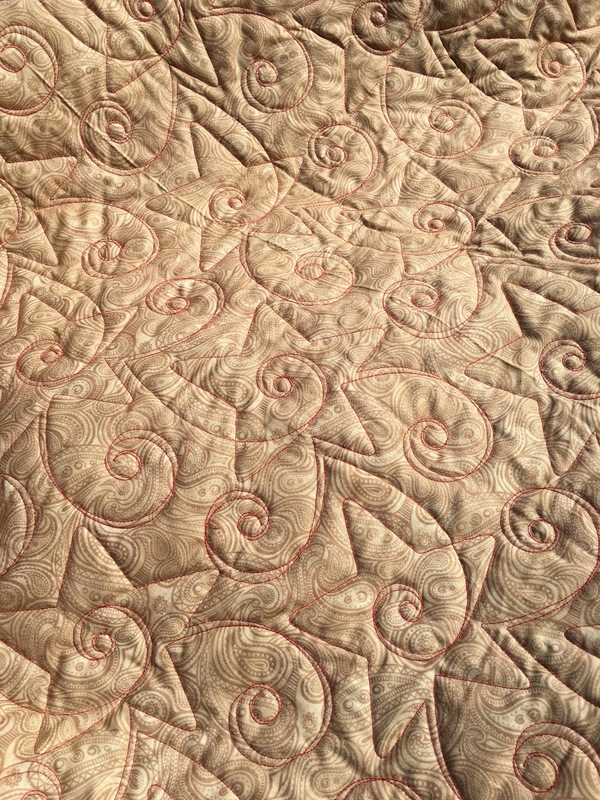 Your quilting on this is beautiful.